Does anyone have plans for Valentine's Day yet?? I feel like we are at that point where the weather can't make up it's mind. Snow one day, rain the next. Plus! 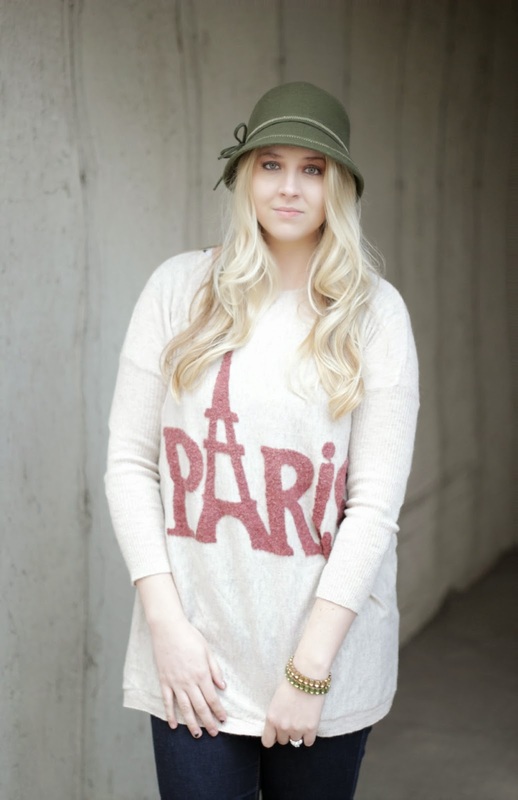 This sweater is on sale right now! Make sure you check it out. Thanks so much! I hope you are doing well! 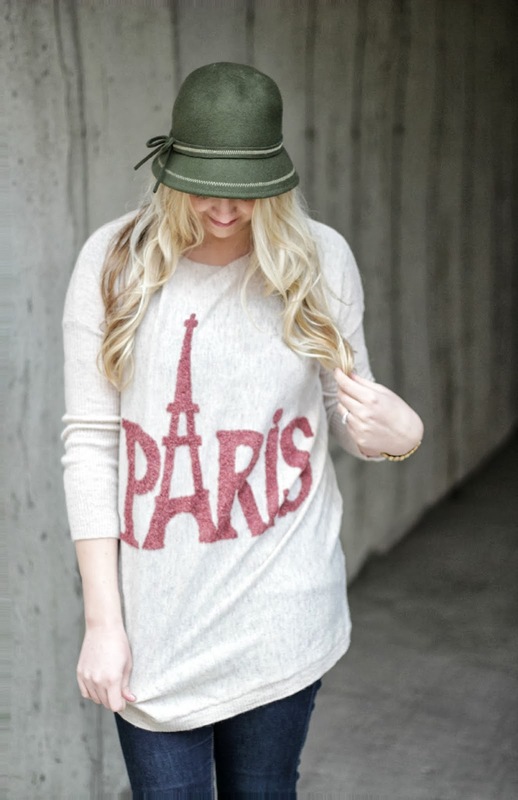 Love this Paris sweater! You sure know how to take comfy clothes and style them up! I love that!